If you want to achieve your dreams, you have to believe. Believing you can do it will not get you there on its own, but it is a big part of the process. Yes hard work and self education have to be part of the mix as well, but I can tell you belief is a powerful thing. Once you believe you can do it, the universe will work with you by bringing you energy, people, and opportunities that will help you get there. If you get anything from my writings or ever decide to believe anything that I am telling you, then please believe this. I say this with 100% confidence and belief in what I am about to tell you. You can do it. You can be successful. 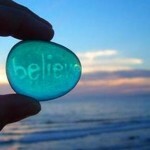 You can have all the success that you have ever dreamed of if you just start believing and then act on that belief. Anyone can obtain success and achieve their dreams. You can be that person. I have met highly educated people who had every reason to be truly successful, but they lacked the ideas, the things, the concepts, the belief required to make it. On the other hand I have met scores of people who had absolutely NO BUSINESS being successful. They started way down at the bottom without much, but they found a way to make it. The people who find success all have one thing absolutely for sure in common. The all believe! Now the power of true belief has to be built over time. If I told you I wanted you to start tomorrow and increase the amount of weight you can bench-press by 50 pounds, could you do it tomorrow? Maybe, but most people could not. Now if you worked out every day for the next four months and slowly built your strength up and working on getting better at benching every day could you do it. There is a very good chance that you could. Believing is not different. You have to work at it every day. You have to practice believing. You have to get stronger and stronger belief. You have to strengthen your ability to not allow failure to rule your world, but rather allow belief to take over. People who have not found great success often time lack belief that they ever will so in the end without that belief there is little hope for them to achieve success. Now if someone who has seen a lot of failure continues to build belief despite the failures and works at growing his or her belief every day, then their chance of success not only becomes much greater, but if they truly belief they will achieve success at some point then I can almost assure you they will. Replace negative thoughts with belief. Do not allow yourself to beat yourself up or to talk down to yourself. You can do this. You can find success. Star working on strengthening your belief every day. If you can do this, then you are already on the right path to finding overwhelming success in your life. 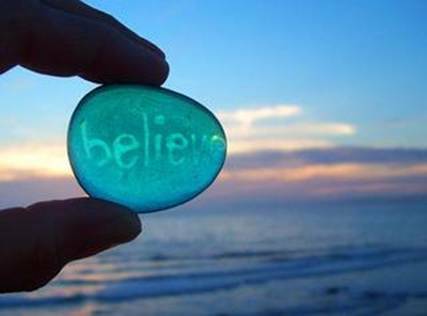 Realize how important it is to believe in yourself and believe that you can be successfully. I know you can do it, but you have to know you can do it. Work every day on your belief. Do not allow yourself to be beaten down. Make sure you acknowledged the things you are good and that you do well. Give yourself credit for all the things that make you great. Building belief in oneself is a process not an event. Keep working at building your self belief. Once you believe in yourself than anything is possible! Keep checking back with www.topsuccesssite.com for more ways to find success!